The offered range of PVC Snap Button Bag (Nickel / Lead Free) is manufactured using supreme class raw material under the guidance of skilled professionals. 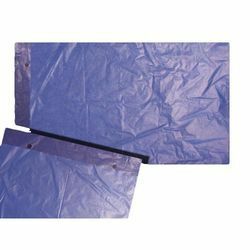 We are the leading manufacturer and supplier of supreme quality PE Bag that is manufactured using high quality raw material and advanced technology. Our offered product can be used in various fields of industry. These products are tested on various parameters in order to ensure the flawlessness of the product. Our valuable clients can avail these products at market leading prices. We are Exporter of the Poly Bag product. Riding on unfathomable volumes of industrial expertise, we are providing a broad array of Plastic Packaging Bag. We are unique supplier of Printed Polypropylene Bags.